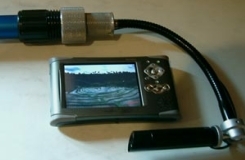 Camera surveys are available as a separate service but can be used for inspecting anything up to 60 feet. Give your home or business premises a facelift with complete cleaning of your soffits, facia and guttering. Gutter & High level Pressure Washing System up to 20 metres high. Pressure wash gutters, concrete, stone, cladding and remove graffiti, pigeon droppings posters etc. 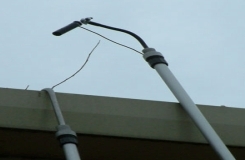 High pressure Pole can tackle a wide variety of high level exterior cleaning tasks. Pressure washing is an extremely effective method of removing moss and algae. As well as removing any potential slip hazards, it is also a cost effective way to restore your garden! So whether it's a old piece of garden furniture, out of reach area or a whole patio DRAIN365 is the company for you.